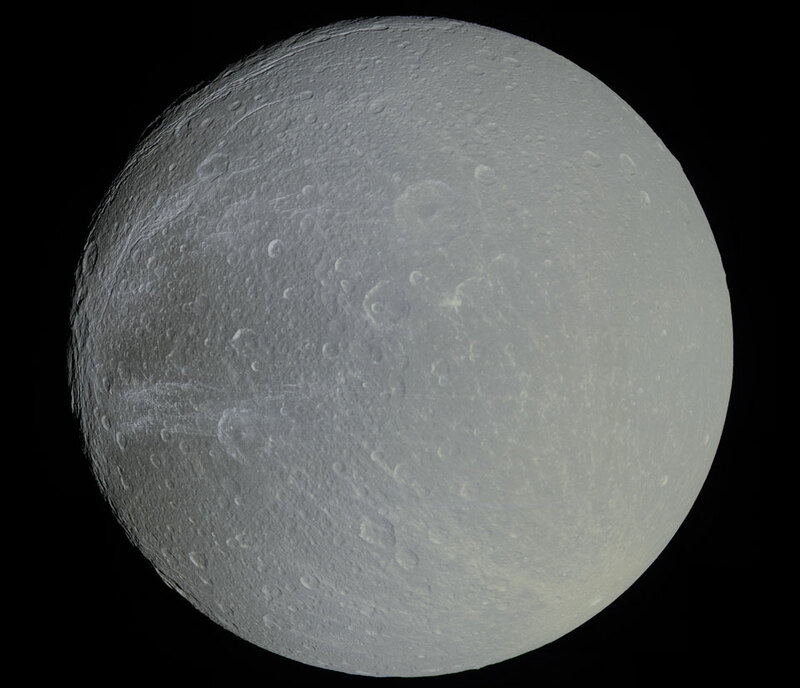 Explanation: Why does one half of Dione have more craters than the other? Start with the fact that Saturn's moon Dione has one side that always faces Saturn, and one side that always faces away. This is similar to Earth's Moon. This tidal locking means that one side of Dione always leads as the moon progresses in its orbit, while the other side always trails. Dione should therefore have undergone a significant number of impacts on its leading half. 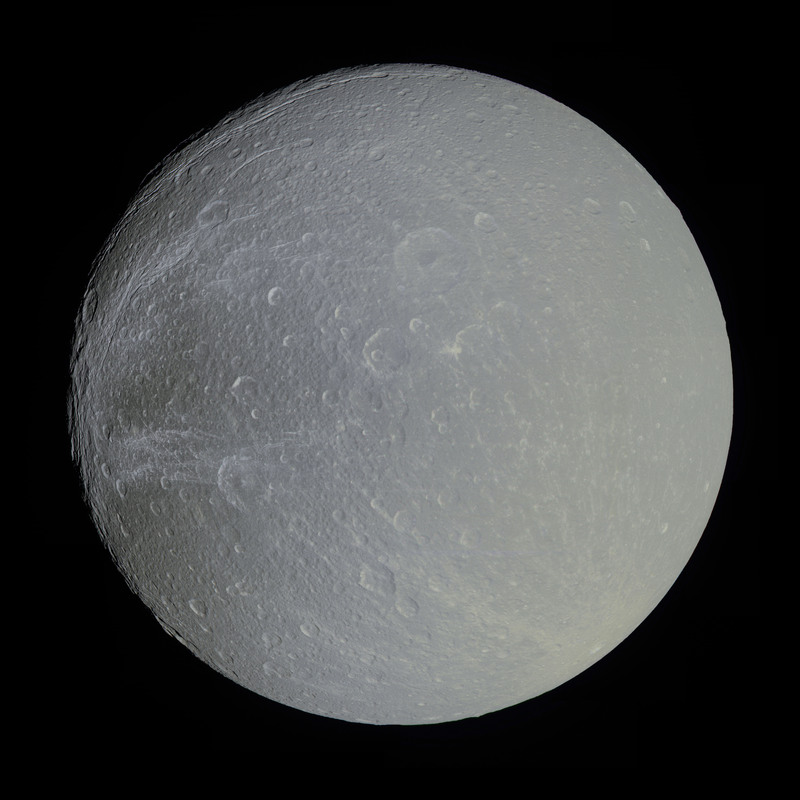 Strangely, the current leading half of Dione is less cratered than the trailing half. A leading explanation is that some crater-forming impacts were so large they spun Dione, changing the part that suffered the highest impact rate before the moon's spin again became locked. The above detailed image of Dione highlighting the moon's subtle hues is a meticulously-constructed mosaic -- by an dedicated amateur -- of pictures taken during the April 2010 flyby of Dione by NASA's robotic Cassini spacecraft.